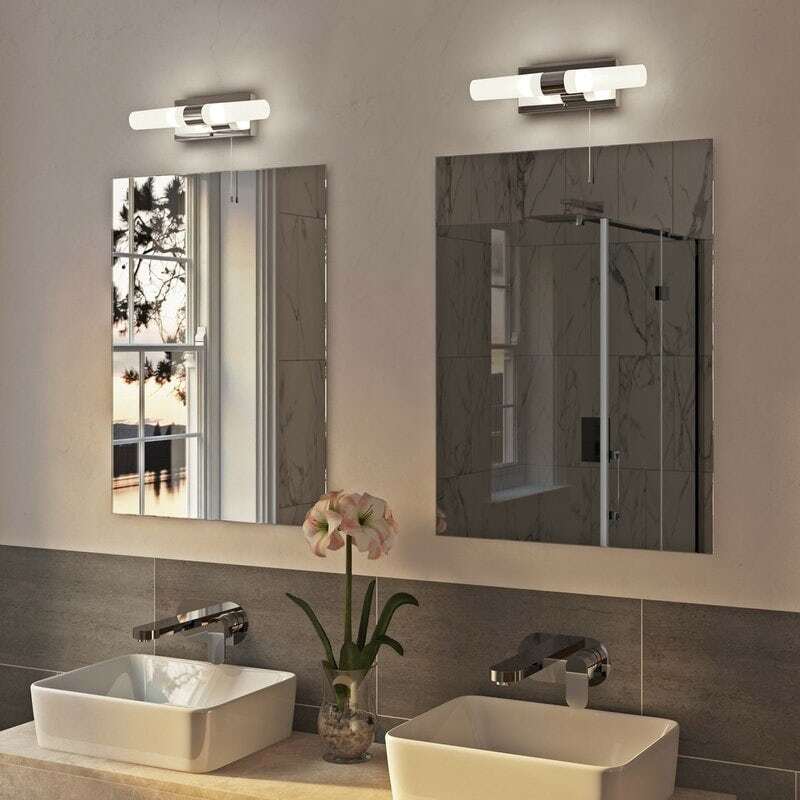 In this expert buying guide, we examine all the dos and don'ts when buying bathroom lighting, explaining IP ratings, bathroom electrical zones and answering common questions. One vitally important thing for anyone to know is that electricity and water don’t mix, that’s why buying bathroom lighting isn’t the most straightforward of experiences. The bathroom is covered by stringent safety regulations when it comes to electricity, so you'll need to hire a qualified and experienced electrician to carry out the job (that is unless you are an experienced and qualified electrician yourself!). But none of this should stop you choosing the right bathroom lighting for your home. In our handy buying guide, you'll find a whole lot of useful information when it comes to the IP rating of your lights, bathroom zones and the types of lighting you can choose from. Each light we sell has its own IP rating. IP stands for "Ingress Protection" and shows how resistant each light is to water. The higher the rating, the better the protection - it's that simple. Each IP rating contains 2 numbers. The first number demonstrates the degree of protection the lighting unit offers from foreign objects and the second number demonstrates its resistance to moisture. You'll need a certain IP rating for bathroom lighting used in certain bathroom zones (which we'll move onto shortly). First number (intrusion protection) - 2 = Protection from a large part of the body such as a hand (but no protection from deliberate access); from solid objects greater than 50mm in diameter. Second number (moisture protection) - 0 = No protection. First number (intrusion protection) - 4 = Protection from entry by tools, wires etc., with a diameter of 2.5mm or more. Second number (moisture protection) - 4 = Protection from spray up to 60° from vertical. First number (intrusion protection) - 6 = Protection against dust that may harm equipment. Second number (moisture protection) - 5 = Protection against water spray from all directions. Now you know more about the safety aspects involved, it's time to get on with the fun part! Choosing your new bathroom lighting. For a more subdued mood, wall lighting is the perfect choice. Some wall lights can also work independently to your main lighting, with a pull cord operating a switch. Here are some of the most frequently asked questions about bathroom lighting. Can any light go in a bathroom? Or do I need IP rated lights in the bathroom? 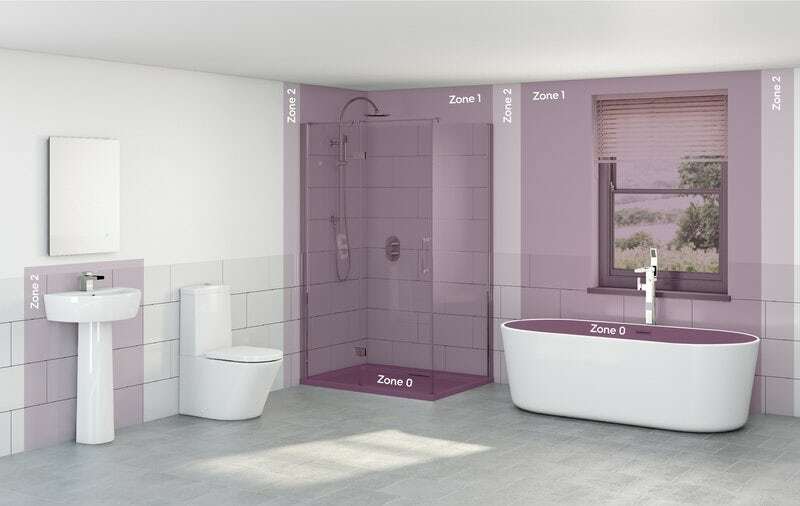 As we’ve already mentioned in this guide, bathrooms are split into electrical zones which require a certain degree of ingress protection (IP). Outside of zones 0—2, there is no requirement for any sort of specialist lighting, however, if in doubt, look for lighting with an IP44 rating or higher, as this will offer protection from splashes. 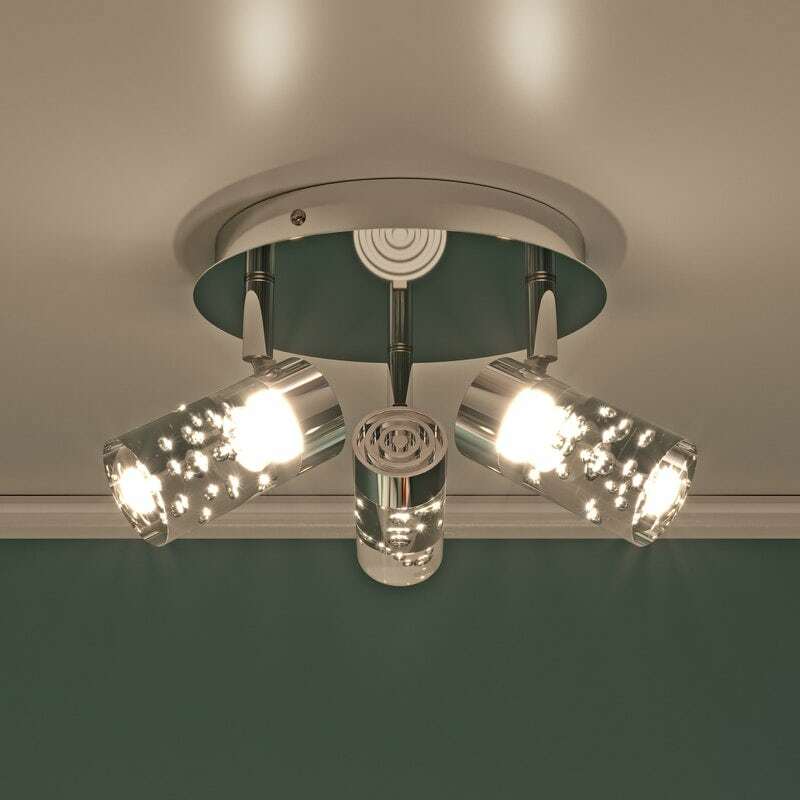 Many regular household lights (designed for use in living spaces) come with an IP20 rating. Avoid using these in bathrooms as they offer no protection from moisture ingress. How bright should my bathroom lighting be? There really is no easy answer to this question. It all depends on your personal taste. However, it does pay to have relatively bright lighting in your bathroom, to help with all those closeup tasks like applying makeup or shaving. One quick and easy way to work out how much brightness you’ll need is to measure your bathroom. Work out the space in metres squared and then multiply by 25 to give you your desired bulb wattage. 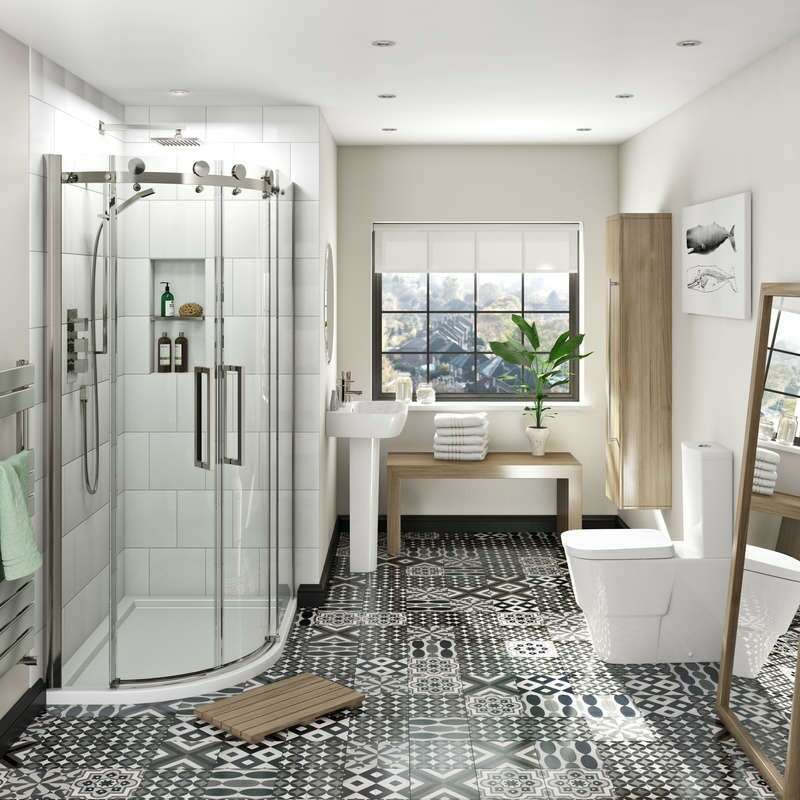 For example, an average bathroom space measuring around 2.5m x 2.5m = 6.25 sq. m x 25 = roughly 155 watts. What colour lighting is best for bathrooms? Like anywhere in your home, white light is always preferred. With modern LED bulbs, you can usually choose between warm or cool white, depending on the type of ambience you’re looking to create. Do I need special downlights for my bathroom? 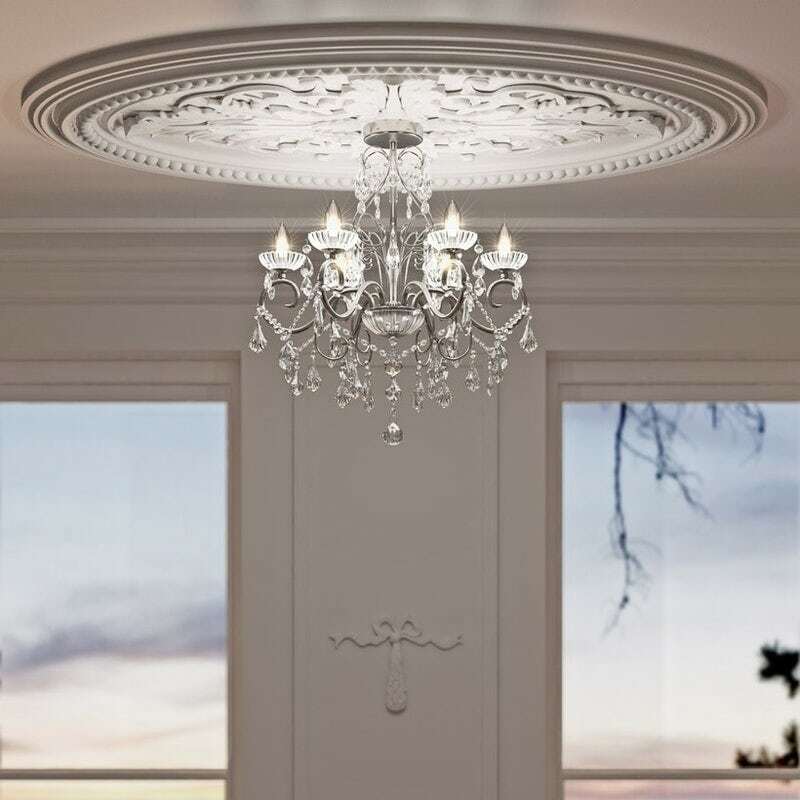 As mentioned above, it is always recommended you use lighting with an IP44 rating or higher when choosing ceiling lighting (as long as your ceilings are outside of electrical zones 0–2. If your downlights are to be used directly above a bath or shower, it is worth considering models with an IP65 rating. Can a landlord put non-IP rated lights in a bathroom? When used outside of bathroom electrical zones 0–2, there is no legal requirement to use a specific IP rated light. However, lighting with an IP44 rating or above is always recommended in these areas. Your landlord must legally comply with Part P of the Building Regulations ("Requirements for Electrical Installations") when fitting any lighting, anywhere in the home, including bathrooms. Is there any special consideration for wall lighting in bathrooms? Wall lighting is more likely to be within electrical zones 1 and 2, than ceiling lighting. Therefore, you need to make extra sure the IP rating of any wall lighting is suitable for use in your bathroom. As with any electrical installation (and especially in the bathroom), do not attempt any of the work yourself, unless you are a fully qualified and experienced electrician. Bathroom lights are normally operated either by a cord which hangs from the ceiling, or a wall switch external to the bathroom. In both cases, they should be by your bathroom door, for ease of use. Most modern bathroom lights come with energy-saving features as standard, but there are still ways you can save on energy. Handy hint: See our top 10 energy-saving tips for your home. Now you have the know-how, why not browse our fabulous range of bathroom lighting for lighter, brighter interiors. Still searching for inspiration? Why not browse our latest bathroom lighting ideas? From applying makeup to brushing your teeth, there are numerous things you do in the bathroom which rely on clear visibility. Lighting is a key consideration but bathroom lights are about more than just clarity of vision – they’re about atmosphere too. Don’t be left in the dark when it comes to choosing your bathroom lighting. 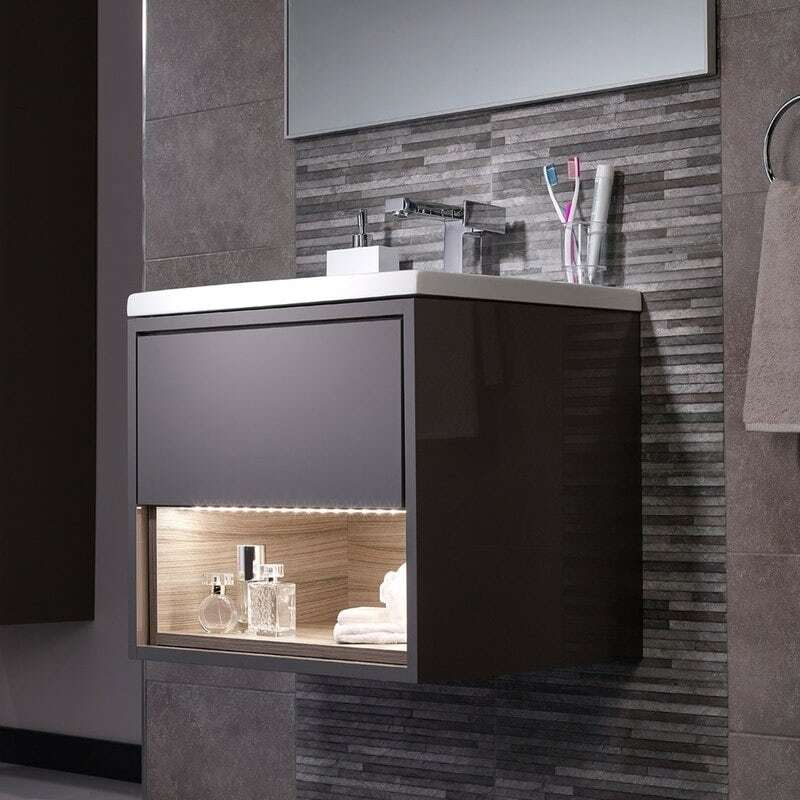 Get switched on with these 5 bright bathroom lighting ideas for 2019. Mixing water and electrics can be extremely hazardous, so we've supplied you with electrical safety information for the bathroom, including guidance on bathroom electrical zones and IP ratings.